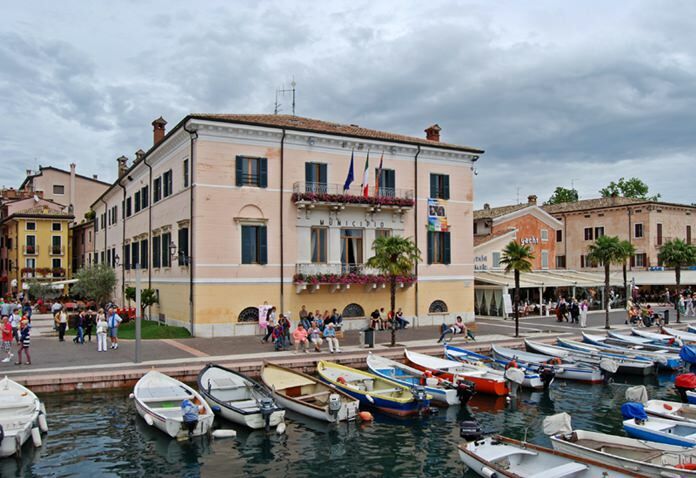 Bardolino Town Lake Garda Italy. Italy is probably the oldest wine-producing region in the world and there are many hundreds of different wines made there, often from grape varieties that are rarely seen anywhere else. 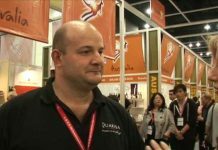 Mind you, Italian wines can vary enormously in quality and you have to take a good look at label to avoid getting caught out. The labels can sometimes be confusing because the dominant name on the label could be that of the grape variety (like Pinot Grigio); it could be the name of the place the wine comes from (like Soave) or it could be the name of a broad wine region (like Chianti). It could also be the name of the producer (like Cecchi). Then there are those mysterious letters like DOCG that are tacked on like an academic degree. Actually, that’s almost what they are, because they’re guarantees of quality and authenticity. At the risk of boring you comatose, I’ll try to explain what all the letters mean but I shall keep it short and leave out the complicated bits. So sit up straight and try to look as though you’re interested. 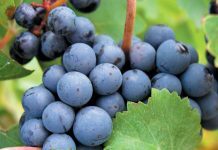 The letters DOCG (Denominazione di Origine Controllata e Garantita) are the highest classification and mean that winemakers have to follow strict rules covering things like grape varieties, yield limits, and winemaking procedures. Partly as a result of all this palaver, DOCG wines are generally more expensive than others. A bit further down the ladder are the wines labeled DOC (Denominazione di Origine Controllata) which are usually good and reliable, but the rules governing their production are not quite so strict. 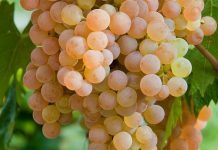 Sometimes you’ll see IGT or IGP on the label and this classification focuses on the region of origin, rather than grape varieties, production methods or wine styles. Some of them are good wines. Finally, at the bottom of the pile there’s Vino da Tavola (“table wine”), which is usually simple rustic plonk, often sold in those huge glass bottles that weigh as much as a small dog. I usually avoid them (the wines, I mean) because the quality can be disappointing. Although you could be forgiven for assuming that Bardolino is the name of an Italian grape, it’s actually a place. 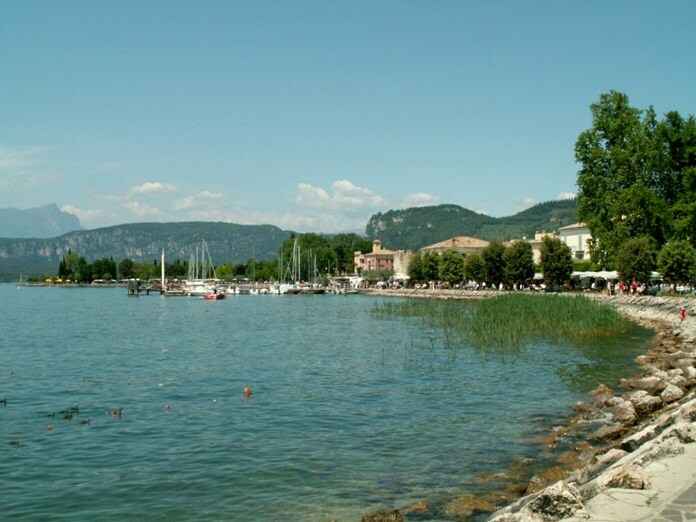 It’s a small and pleasant town on the Eastern shores of Lake Garda about 100 miles west of Venice. The cool and fresh climate there produces wines that are light and fruity (or supposed to be) with sharp cherry-like flavours. Named after the sixteenth-century Venetian palace of the Grimani family, this wine is a medium ruby-red with the aromas of redcurrants, cherries and a typical herby aroma of brambles. The wine is very dry, light-bodied and with a touch of sharpness, giving it a refreshing quality. There’s quite a bit of red fruit on the palate and just the slightest touch of soft tannins. It’s only 12.5% ABV but I always think of Bardolino as a food wine because of the inherent sharpness of the taste. If you enjoy pasta in a creamy sauce, this wine makes an excellent accompaniment. It was a perfect partner for a recent plate of Tagliatelle with a rich, creamy home-made bacon and mushroom sauce to which a few bits of red chili had been added to jazz up the flavour. For colour and extra depth, I sprinkled a few fresh bergamot leaves on the top. I know it’s a Festival of Cholesterol but it’s only once in a while. Cecchi (CHECK-ee) is a well-known family wine maker which has been producing wine since 1893. Chianti (kee-AHN-tee) is the most famous red wine from Tuscany and its name refers to a wine-producing area that runs roughly from Florence down to Siena a bit further to the south. 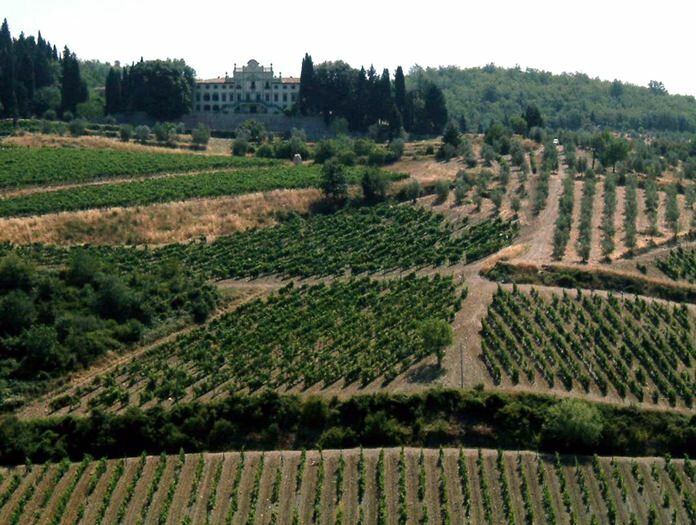 At one time, Chianti was instantly recognizable by its traditional straw-covered bottle, called a fiasco. They were used in their dozens to decorate the ceilings of many an Italian restaurant. In my student days, it was considered terribly Bohemian to have a few of these bottles around one’s room, ideally with a candle stuck in the top of each one. This is an attractive and typical Chianti. It has the DOCG tag and if you’ve been paying attention, you’ll know what that means. The wine is a dark ruby-red with the characteristic smell of sharp, sour cherries, herbs, rhubarb and violets. You might even pick up the faint aroma of moist tobacco. 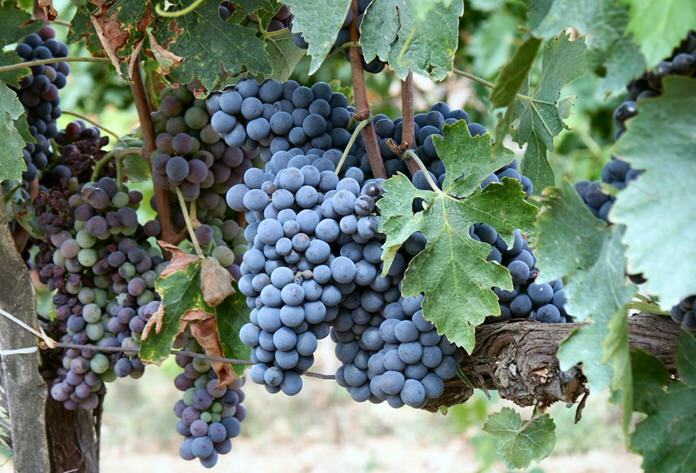 These interesting aromas come largely from the Sangiovese grape which makes up 90 percent of the blend. The taste is dry, sharp and fruity with a good balance of acidity. Like so many other Italian wines, it makes an excellent food partner. It comes at 12.5% ABV and would work well with rich roasted meats. Of course, pizza and pasta always go well with Chianti because the tangy wine contrasts well with the textures and flavours. Just to make sure, I tried it with a home-made mushroom pizza prepared specially for the tasting. The two of them worked perfectly together and made a perfect match. I just hope you appreciate the trouble I go to. Most people wouldn’t bother, you know.